UKIP have offered a terrible excuse for these photographs of one of their student activists. 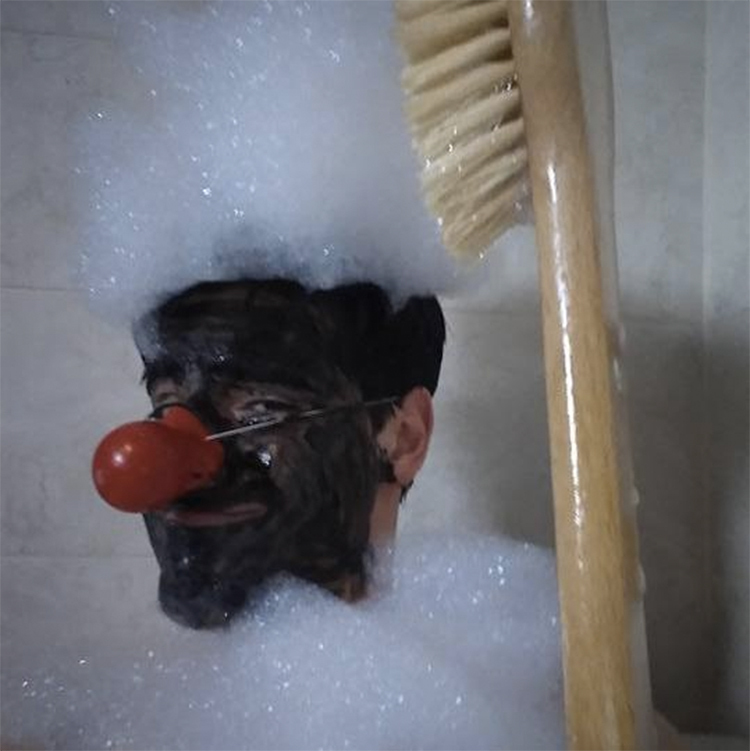 Last week, images surfaced of prominent UKIP campaigner Jack Neill "blacked up" and wearing a clown nose and a curly wig and taking a bubble bath. Now another UKIP candidate has said that Jack Neill, who is a criminal justice student at the University of West Scotland, has been "falsely accused" of racism. Jack Jardine, who is standing for UKIP in Fife, claimed that Jack Neill was actually wearing a "facial mask to treat his skin". Jack Neil posted these photos to his Facebook page "Union Jack". Jack's Facebook posts, which showed him blacked up in the bath, wearing a clown wig, nose and bow tie, are causing quite a lot of trouble for UKIP in the Holyrood elections. Coming out to defend Mr Neill's posts, Jack Jardine claimed that the photos weren't what everyone thought. "Although I don't condone any kind of 'blacking up' it was evidently not what was going on in Mr Neill's Facebook posts." He said. "Mr Neill suffers from acne frequently and as a result often wears facial masks to treat his skin." Mr Neill himself said that the photos on his page (which still haven't been taken down, despite the reaction) were "a joke". Jack Jardine, who is standing for Ukip in the Mid Scotland and Fife region, claimed Jack Neill had been the victim of "false accusations" of racism. 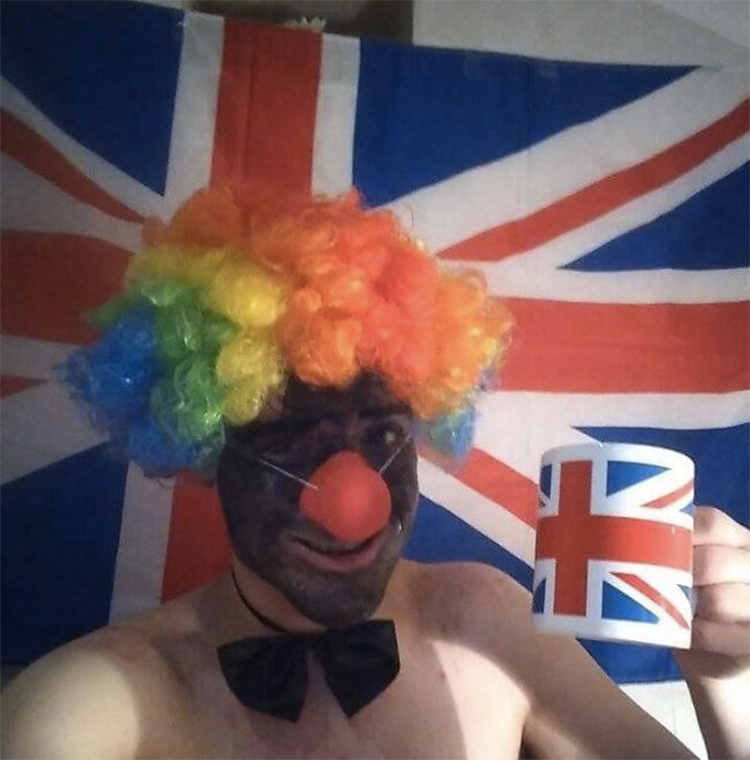 Ukip's Holyrood election campaign was plunged into chaos last week when pictures of prominent activist Mr Neill emerged showing him with his face blacked up and wearing a clown nose and curly wig. He explained the personal snaps, some of which were posted on his Facebook page, were "a joke". A Ukip spokesman said the party would "slap his wrist for being a berk", but Mr Jardine claimed that Jack Neill was being "bullied by the media" and really was just treating his acne, saying he had also been pictured wearing "white and pink facial masks" at other times. He admitted the pictures were "not the norm". "I grant you he has incredibly strange ways of having fun but if it helps his confidence then why shouldn't he?" "Nowhere does he make fun of any race, or make any slanderous comments," he claimed. Mr Neill, who stood for Gordon Brown's old constituency at last year's elections and finished fourth, told The Herald he had taken the photos "for entertainment purposes"
David Coburn, Ukip's Scottish leader and an MEP, told the BBC that Jack had been "extremely stupid," said the UKIP disciplinary committee were looking into it. "It ain't in the UKIP manifesto to sit in your bathtub naked, playing the guitar, dressed as a clown." He said. "UKIP are the most liberal party you can possibly imagine; we're a libertarian party, you can't get more broad-minded than that." "He’s a kid. He’s an idiot. He is pulling silly faces on his Facebook page, sitting in his bathroom with a silly clown nose on. He put a face mask on his face surrounded by bubbles. But it is in no way malicious, no way racist." "He should be aware of how things look. But this is not malicious in any way. If the University of the West of Scotland wishes to investigate they will find an ordinary student behaving in an ordinary way, in the safe space of his own bathroom." "He’s a berk. He’s a prat. But does it deserve the caterwauling of the politically correct? No. We’ll slap his wrist for being a berk but there was no malice in it." The offensive photographs in question remain on Jack's Facebook page.